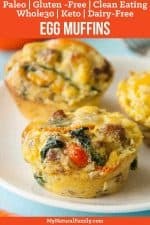 These are quick and easy egg muffins that are so convenient, packed with flavor, veggies, and meat and taste great. They are jam-packed with flavor and come together relatively quick. They are full of color, texture, and healthy ingredients including sausage, spinach, and peppers. 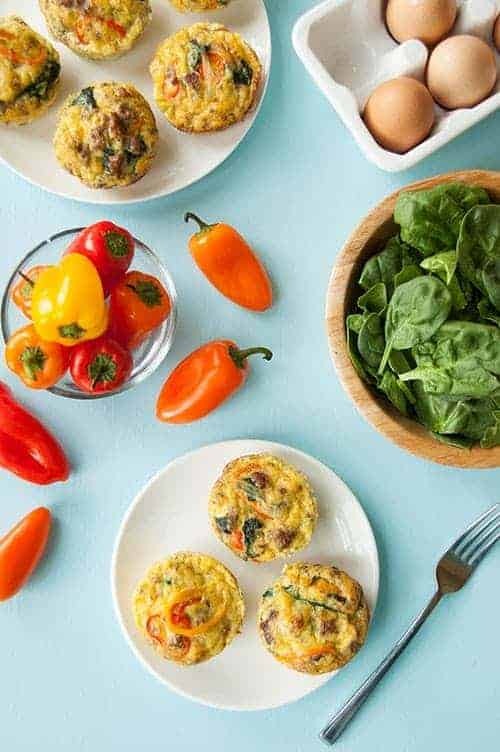 These Paleo breakfast egg muffins are a high protein and low carb meal and can be eaten alone or served with a green smoothie (which is my favorite way to eat them). I think the best part about them is you can make them fresh or you can make them ahead of time and heat them up for when you or other family members are rushing out the door. My 10-year-old son loves these, although he usually doesn’t want the veggies. I make them the night before and he eats them for his breakfast and lunch for the next day or two. They are really portable and he will eat them cold just fine. There aren’t any flours so they pull together quickly and I love that they are healthy, but he doesn’t even care about that since they taste good. A tip I can give you is to make sure you get as much grease as possible off the sausage before you put it in the muffins, or else they turn in to a bit, greasy, burning mess on the bottom of your oven. Don’t ask me how I know that . . .
With these Keto egg muffins, you can have your entire meal in your hand. Plus, they are easy to customize just how you like them. Add or take away veggies, swap out the sausage for bacon or add in your favorite cheese. Make them ahead of time for meal prep or whip them up, throw them in the oven, get ready and grab one on your way out the door. You will find this will soon become one of your go-to Keto breakfast recipes. We eat these Keto egg muffins at our house quite a bit, not that we intentionally eat Keto all the time for every meal, but we are quite limited on food choices because of dietary restrictions and preferences. Plus, most of it is just how we feel. 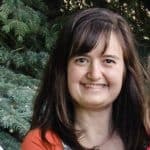 We just all feel better and our children act better when they eat low carb. Plus, our 12-year-old son is Type I Diabetic. Luckily, he tends to like non-carb foods naturally. Not that he doesn’t eat carbs. He totally does, but it’s nice to have some recipes like these that he likes that are low carb for days when he needs to reset after eating way too many carbs. He even likes to make these ahead of time and eat them cold for his school lunch, which is perfect, because his school doesn’t allow sugar in their lunches. (Isn’t that awesome?) He also can’t reheat anything for his lunches and has to bring something from home, so anything besides a sandwich gets a thumbs up around here! I don’t like to eat breakfast egg muffins cold or as leftovers, cause I think they taste rubbery, but you may want to give them a try cause I’m super-picky about food texture. 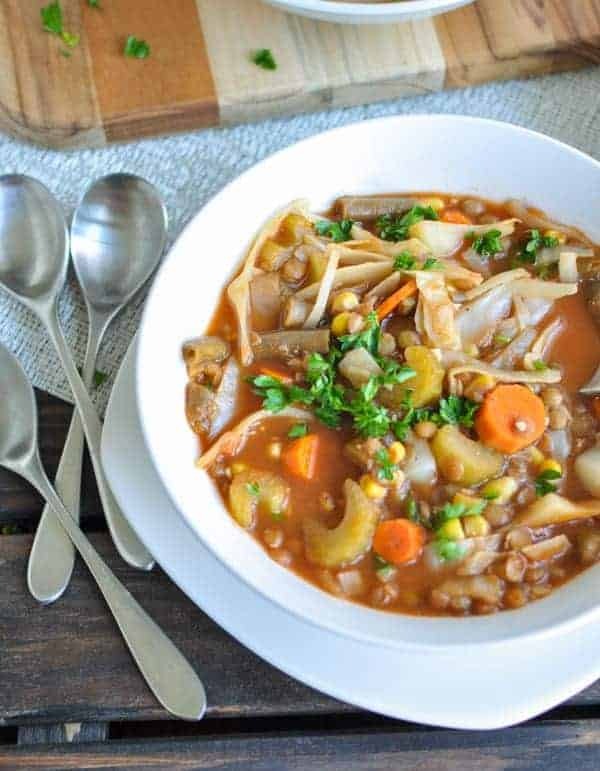 I know a lot of people do like to eat this cold (just check out the comments). Swap out the sausage for bacon or turkey sausage. You could even make your own breakfast sausage. You can use any kind of milk you like, such as coconut milk or almond milk. A few small cubes of your favorites cheese are delish in these. I’m sure shredded cheese would work as well. My favorite is cheddar cheese, but I’m sure other kinds would work well too. If your sausage is greasy at all, make sure and drain it before you put it in the muffins. My son has made a huge, smoky mess in my oven more than once because he forgets to drain the sausage and it bubbles over the sides of the muffin pan and over to the bottom of the oven and makes a huge mess. You can freeze them and reheat in the microwave. They do let out some water as they are cooking, so put them on a paper towel on your plate. 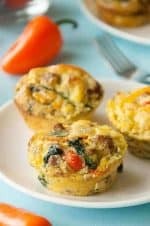 I would love to know if you make these Keto egg muffins. Please comment below and let me know if you like them and how and when you eat them. We freeze ours and then reheat in the microwave. They do let out some water when you reheat so I would suggest heating on a paper towel! Are these Paleo breakfast egg muffins portable? They are basically little portable omelets that you can make ahead and eat when you are ready. It doesn’t take very long to throw them in the toaster oven or oven for a few minutes and heat them up – or you could eat them cold like my son and since they have several different types of food, they may be all you need for breakfast. I would love to hear if you try these and if you love them or have suggestions on how to improve them. Please comment below! I have happily put together a list of 9 Paleo egg muffins that can be made ahead of time and then heated up in the morning or made fresh the morning of breakfast! Finding something to eat for breakfast can be quite a challenge – I struggle with this myself. I love eggs but sometimes I get sick of the same ol’ same ol’. So I tried really hard to find simple breakfast egg muffin recipes but that have a good variety of flavors. These 9 paleo egg muffin recipes are all a little bit different so you better check them all out. All of these egg muffins recipes have eggs in them, of course, but some are mixed in a bowl and some are made in a food processor or blender. These recipes have a lot of different ingredients added to the eggs, some of the ingredients added are bacon, sausage, ground beef and ham. There is also a big variety of vegetables added including spinach, peppers, onions, tomatoes, kale and chives. You could also add mushroom or avocado just for some suggestions. Let me know what you think of these recipes and if you have other recipes that you enjoy for breakfast that are fast and easy. This recipe was developed when there was a great need to have breakfast which could be made fast and easy. Of course, it still had to be Paleo so this is the result. It’s pretty simple with very few ingredients, that’s why it’s fast and easy. They can be made ahead of time and just reheated in the morning. That way you can have a really quick breakfast or you can even take it with you. Double or triple or quadruple the recipe and you’ll have enough for the next several days. This is another pretty easy Paleo egg muffin recipe. The prosciutto makes a nice little cup for the eggs and makes it really easy to get out of the muffin pan. I like chives, I think they are underrated. They add a lot of nice flavor with very little work to prepare but the flavor isn’t too strong. They add a lot of nice color to dishes too. Sometimes we grow chives in our yard. It doesn’t take much space and is easy to grow. When it’s big enough I just take a pair of scissors and cut off what I want. I also use the scissors to cut it up into small pieces for serving. If I happen to let it grow too long it goes to seed and grows beautiful huge blossoms. Some people grow them just for the blossoms because they’re so big and pretty. There’s no mistake though, they do smell somewhat like an onion in your yard. You know that you can add or not add anything within reason that you would like to these recipes. They are pretty forgiving unless you add too many veggies, then there won’t be enough eggs to hold them together. Bacon can be used with or without the sausage. I always cook it first so there will be less fat and to make sure it gets cooked enough. I cut it into small pieces. These really are nice little versatile little things. This is way easier than you think. You cut the cauliflower into pieces and then you put it in the food processor to make it into raw cauliflower rice. It gets cooked in the baking. She has you mix the rest of the ingredients in a bowl and then bake it. I’m thinking why dirty the bowl. Why can’t I just zap the rest of the ingredients for a second and be done with it? There wouldn’t be any chunks of kale, but I’m thinking that would be a good thing, especially for my kids. I think I would probably add the ham at the end and process it. What do you think? Do you think it would work to make it all in the food processor? You can even tell the kids that it’s green eggs and ham because, by the time they were processed, those eggs would probably be green. Here we go again. All these bloggers want to, but don’t dare, name their recipes for Paleo egg muffins “Green Eggs and Ham”. The more you blend it the greener it will be. Plus super blending makes the eggs foamy, but I’m sure the foam will go away after a few minutes. Go ahead make them for the kids and blend them up until they’re nice and green and see what reaction you get. They might actually love it! If nothing else, at least you’ll get their attention. This would be a good breakfast to make for St. Patrick’s Day. Go ahead, do it. I dare you! Here are egg muffins without any meat in it. It’s one of the few I’ve seen. I think it sounds really good and easy to add pesto to these babies. I found a good dairy-free Homemade Pesto Recipe if you’d like to try making your own. You could always add meat if you want. I’m wondering how tuna fish would be in these. Did anyone try it? I think it would be pretty good. I make tuna burgers all the time. All they are is tuna and eggs and flavorings. Pretty much the same thing as this only fried in a pan. I might try it sometime. I just think it’s a lot easier to open a can of tuna than to fry up some sausage or bacon. I’m pretty lazy when it comes to cooking. I like how these Paleo egg muffins recipes are all a little different. Some are made with sausage, some with ham, some with bacon. Some don’t have any meat at all. This one is made with ground beef and sauerkraut. Now, what do you think about that? There are several things I like about egg muffins. This time I like the idea of being able to use these for portion control. The best way to do that is to only make as many as you need. Another way would be to make them and take them to work with you. When you eat them either in the car or at work, you won’t be able to go back home for more. They make a healthy snack too, that is if you any eat one for a snack. BTW can anyone tell me what the dark brown blob on top of these is? It looks like a prune to me. Is it a big chunk of ground beef? Now, these seem to be a little different than most of the other Paleo Egg Muffins here. They actually have Paleo flours in them and a homemade tomato pesto sauce on top. I should try these. I just remembered that I have some sun-dried tomatoes in the cupboard that I made out of some tomatoes I grew in my garden. The nutritional yeast adds a hint of cheese. The pesto sauce sounds almost like my Paleo Chimichurri Sauce Recipe. I bet that would be good on here too. Previous Post: « 9 Paleo Ground Turkey Recipes You’ll Want to Eat! Can I use heavy cream instead? I think it would work; it would just make the consistency a lot denser and I don’t think they would rise as much so they would be less like a muffin and more like an omelette but they would taste richer and that may be what you are going for . . . Started the 2019 year with cutting the carbs! My husband loved these! I put them in muffin cups (sprayed with non stick ) for easy peasy grab and go! Thank you so much for sharing. I’m so glad you like them. They really are perfect for an on-the-go low carb breakfast! Thank you for the awesome recipe! I’m cooking for a small party for brunch & needed something yummy and easy. This looks perfect! I want to try the recipe with pork sausage for the party, but I also want to try the recipe with chorizo instead of pork sausage. How can I incorporate chorizo in this recipe? I haven’t cooked with chorizo much so I’m not really sure but I would try it just the same as regular breakfast sausage. Awesome. Thanks for sharing. They were a big hit at my house. I have three kids getting to their teens and this is a perfect on the go breakfast. I’m glad to help! Thanks for commenting. The fact that you can add or subtract food items make there a perfect breakfast for people on the go or any time for that matter. I add a little jalapeno pepper and Mexican cheese (although cheddar cheese is my favorite also) and make them into a Mexican quick breakfast. I do make my own sausage so that helps control what goes into them. Raising our own chickens the eggs are always fresh. Nice recipe suggestions. Thanks for the nice comment and suggestions for additions and substitutions. I’m sure it will help many people! Hi, just wondering what you used to grease your muffin tin? Thank you. I usually use coconut oil since it’s always solid at our house and works just like how we used shortening when I was a kid. Made these last week! Froze and reheated and you are right in about the paper towel. I forgot to drain the grease but they were still awesome. Gunna make more this week! I’m glad you liked them! Thanks for taking the time to comment. You’re welcome. I’m so glad so liked them! This recipe was absolutely amazing! But How are you able to calculate the nutrition information? I am starting this keto life but I do not eat pork, so I swapped it out for turkey. Where am I able to input different ingredients to a recipe and get the nutrition information? Would it be ok to make these ahead of time? Could you freeze them? You can freeze them and reheat in the microwave. They do let out some water, so put them on a paper towel. Or you can make ahead of time and refrigerate and pull out when you want them. I made these today and my kids had 3 each! It is safe to say it was a hit with my family! Thanks for sharing the recipe. That’s awesome! I’m so glad they liked them. Made these twice now. Really love them. Nice to have something already made when you want them. And yes I can eat them cold! I love that you eat them cold! You’re braver than I am. But really, they should re-heat really well too and really would be so nice to have made ahead of time. I’m so glad you like them. I liked the taste, but not the texture. I made them exactly as the recipe states and they came out tasty but kind of watery. I’m wondering if there is something that could be added to give them a more fluffy texture? Also, rather than mixing the eggs with the sausage/vegie mixture, it is way easier to put divide the veg/sausage mixture into the muffin pans first, then ladle the eggs over. (Eggs are lighter, so they fill in the space all the way down!) Also, this helps keep the sausage mixture evenly divided easily. You could try adding a starch, like a Paleo flour, such as arrowroot starch. I haven’t experimented myself, but it’s worth a try. Thanks. Did a little research and then made them again with a scant 3/4 tsp. of Baking Powder. Perfect! Came out exactly they way I was hoping – light, fluffy and delicious! Thanks again for your recipe and your website. Lots more recipes I plan on trying. Could you put this into a casserole dish instead of muffin tins? I don’t see why not. My husband makes something similar to this and it turns out fine. You probably would need to cook it longer is all. I would use Turkey sausage because I like it better and can get it in Italian sweet sausage. Thanks for sharing. I have a sensitivity to bell peppers so I normally just avoid these recipes or omit them. However I’m not sure it would be good to omit them. Do you have any suggestions for substitutions? You should be fine to omit the bell peppers, it has onion and spinach already. You could try adding another veggie if you would like you but just have to decide what you think would taste best for you. yum. do they freeze well? how do you reheat? I don’t ever freeze them. that just sounds like it might not work so well. But we don’t ever have these around for more than a couple of days when we make them. So we simply store them in the fridge and reheat in the microwave or on the stove top if you don’t like the microwave. probably a dumb question, but how long do you figure these would last in the fridge before they went bad? Wondering if i made them on Sunday if they would still be good all the way to Friday morning. Personally, I wouldn’t eat them any longer than three days because the texture would get mushy. But some people aren’t nearly as picky as I am . . .
what is the nutritional values of these muffins? I made them and my family loves them but I have to track them on my weight watchers. please provide nutritional values. Have you ever tried freezing theses ? I would love to make these ahead and have them for the week. I haven’t. I’m not sure if they would freeze well with that much egg. . . I make these all the time and love them!